(Tuesday, August 27, 2013 – Arlington, VA) President Barack Obama sits down with PBS NEWSHOUR’s Gwen Ifill and Judy Woodruff at the White House, Wednesday August 28, 2013 for an extended interview. Soon after delivering a speech at the Lincoln Memorial to mark the 50th anniversary of Martin Luther King Jr.'s "I Have a Dream" speech, President Barack Obama will sit down with PBS NewsHour's Gwen Ifill and Judy Woodruff for an exclusive interview. They will discuss civil rights and economic opportunity in America five decades after the March on Washington, as well as the news of the day. The extended interview will take place at the White House and will be broadcast in full on PBS NewsHour Wednesday evening (check local listings) and at newshour.pbs.org. You will be able to find excerpts from the interview as well as a full-length version of our interview at video.pbs.org/program/newshour/ and on our YouTube page at youtube.com/pbsnewshour. Also on our homepage, PBS NewsHour will live stream Wednesday's 50th anniversary events from Washington, including speeches from former President Bill Clinton, former President Jimmy Carter and President Obama. Gwen Ifill and Judy Woodruff were recently named co-anchors and managing editors of PBS NEWSHOUR. The program, in its new format, launches Monday, September 9, 2013. PBS NEWSHOUR is seen by over five million weekly viewers and is also available online, via public radio in select markets and via podcast. The program is produced with WETA Washington, D.C., and in association WNET in New York. 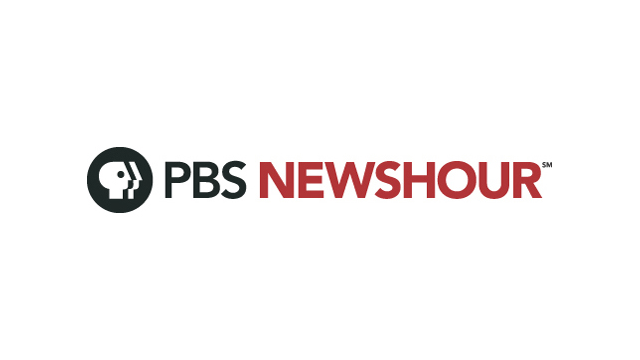 Major corporate funding for PBS NEWSHOUR is provided by BAE Systems and BNSF Railway with additional support from the Corporation for Public Broadcasting, the Friends of the NewsHour and others.